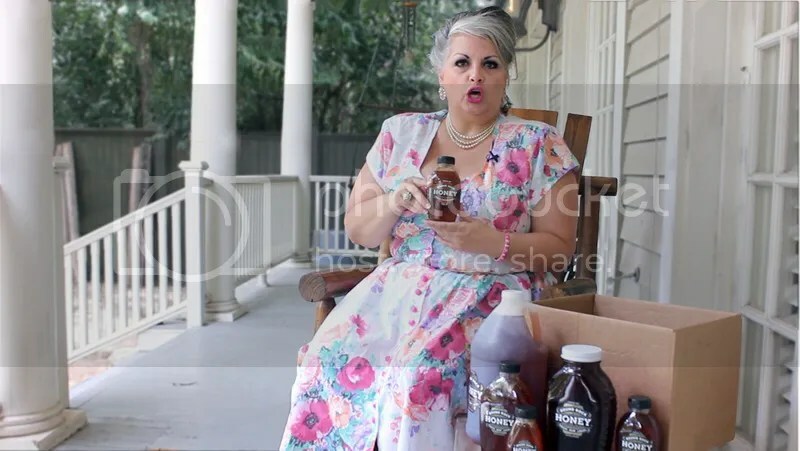 “Blanche” extols the virtues of Round Rock Honey and its new online store. Shot in Round Rock, Texas and starring the fabulous singer/actress Jo Lyons as “Blanche Dubois”. Produced and Directed by Matt Kordelski. Script written by Jo Lyons. Well I’ve been busier than a little bee. Why? Because they love it! Frankly my dear I’m exhausted! But I heard some wonderful news today. Round Rock honey dot com. And you can send Round Rock honey to yourself or your friends all over the country it’s as easy as that. drinking tea on the veranda. Post Production was done at mattkprovideo studios in Austin, Texas. Round Rock Honey is justly proud of it’s high quality, naturally grown and delicious Honey products. I am so happy to be a part of letting folks know about this great product. Shot with a Canon DSLR on a slider, and edited with Adobe Premiere. I added the “Lumetri” effect to make the footage seem more cinematic. The logo animation was created in Adobe Photoshop and Adobe After Effects. I didn’t design the Round Rock Honey Logo. I traced it in Adobe Photoshop. I drew the honey combs using the Adobe Photoshop Pen Tool. I colored it with the paint bucket tool. The honeycomb image was imported as a Photoshop layer into Adobe After Effects. The layer was made into a “3D Space” image. Then the image was duplicated and “nudged up” one line. ( The layer was selected then the keyboard UP arrow was tapped once) Then this was repeated 150 times. ( Copy the 3D layer, select it and move it up one line. Repeat). The honey jar image was added and made a 3D layer. It was duplicated and at 8 seconds in the under layer darkens and has RADIAL blur added. Then a third copy occurs above and has the Stylize / GLOW effect applied to it. An elliptical mask moves over it. This entry was posted in adobe photoshop, adobe premiere, after effects, animation, austin, commercial, tv commercial, Uncategorized and tagged 2d animation, adobe after effects, adobe photoshop, adobe premiere, animation, blanche, canon dslr, canon t3i, commercial, Corporate Video Production, honey, https://roundrockhoney.com/, jo lyons, lumetri, mattkprovideo, motion graphics, round rock, round rock honey, texas, TV Commercial, video editing, video production on August 11, 2018 by mattkprovideo.